Case study of air curtains at Miedema-AGF in Amsterdam. ‘We work sustainably for people and the environment,’ says Marcel Hillaert, Director of Miedema-AGF wholesaler of potatoes, vegetables and fruit. Miedema-AGF takes care of the safety and health of their customers, employees and local residents. They use cars with Euro-6 engines, cab spoilers (for less air resistance) and BlueSeal air curtains. The air curtains keep the cold in the cargo area during loading and unloading. With more than 30 stops per day, this results in a considerable saving on the cooling energy costs. With the air curtain, the cargo area remains at the desired low temperature during and after door openings, and less humid air is also introduced. A temperature-sensitive product such as the avocado quickly discolours with temperature fluctuations. With an air curtain above the door opening, the products are better protected, so that the avocados, for example, discolour less quickly. 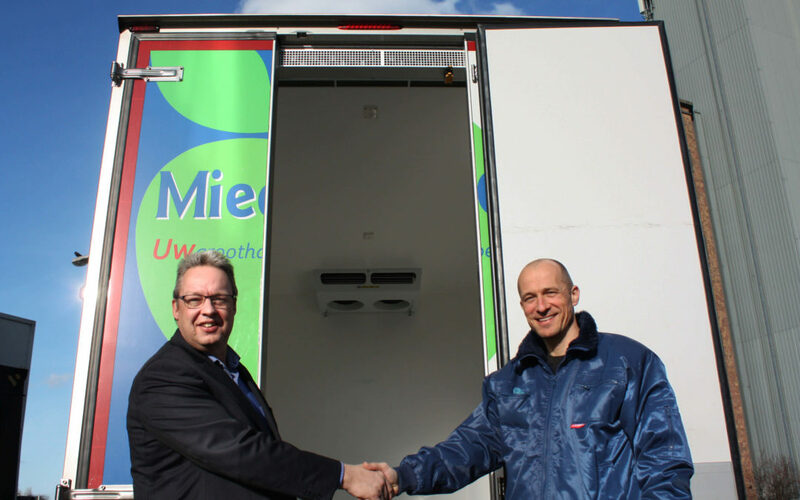 Read case study of air curtains at Miedema-AGF in Amsterdam (Dutch).